Most-wanted toy this coming Yule? Microsoft Kinect is predicted to be this Christmas' most-wanted tech toy, according to a new industry report. 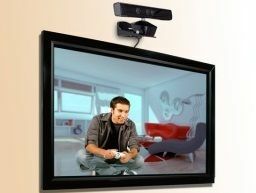 Market research outfit Ipsos says that Kinect will be the most popular gaming hardware in the UK in the run-up to Xmas 2010. Ipsos claims that 13 per cent of Brits intend to buy a Kinect this Christmas, compared with only 11 per cent who are planning on investing in a PlayStation Move controller. That said, Ipsos' research also adds that Kinect is perceived to have more "uniqueness" and "believability." Kinect more believable than Move? "Given a new usage experience, one might expect some level of scepticism among respondents for Kinect," reads Ipsos' report. "Surprisingly, though, Kinect excels on both uniqueness and believability... PS Move is rather weak on both dimensions." "While there are a lot of factors other than consumer appeal that influence demand, the underlying potential for Xbox Kinect looks very good." Kinect is finally out in the UK on November 10. Not long now!